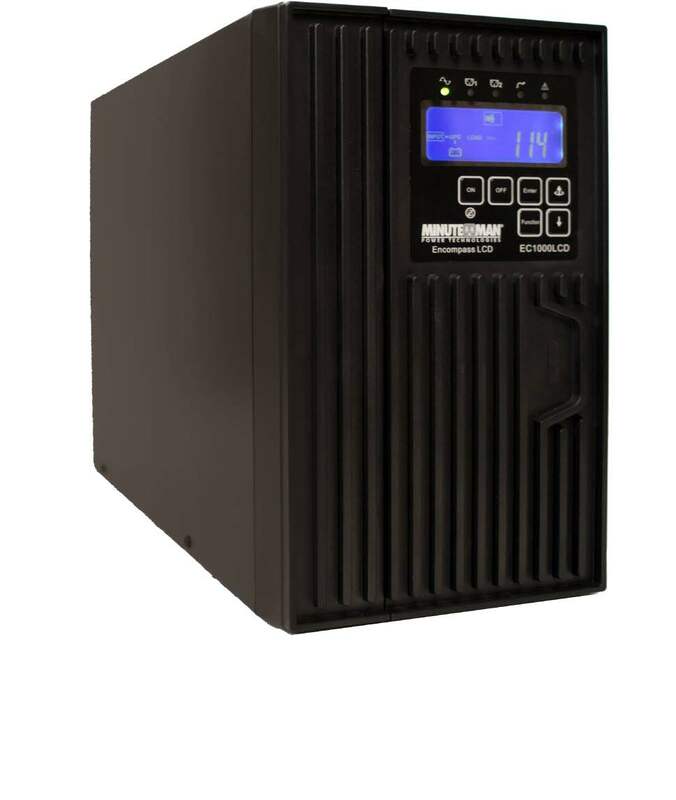 CPE Series- *CPE1000 *CPE2000 *CPE3000 The Minuteman® CPE Series UPS combines double-conversion technology and extended runtime capability in a compact tower design. Encompass Series- *EC1000RT2U *EC1500RT2U *EC2000RT2U *EC3000RT2U The Minuteman Encompass Series UPS offers on-line, double-conversion, true sine wave output and versatile configuration options for a full range of applications. Encompass Tower LCD (NEW PRODUCT) - *EC1000LCD *EC1500LCD *EC2000LCD *EC3000LCD The Minuteman Encompass LCD Series UPS offers on-line, double-conversion, true sine wave output and versatile configuration options for a full range of applications.